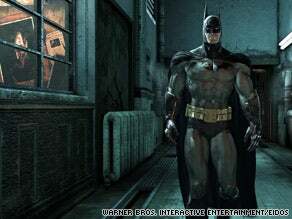 CNN takes a look at Batman: Arkham Asylum and why the game seems to be getting better, different buzz than past Batman titles. To put it simply, it's because the game promises to take the best bits of what you love about the Caped Crusader and weave them into a single experience. "This is the Batman movie I would have liked to have written," said Paul Dini, the Emmy-winning TV writer who penned Batman: Arkham Asylum. "This is him with all the good stuff." Dini started from a clean slate in writing the plot, not connecting it to any existing storyline. It's a story Dini is sure gamers will like. "Nobody loves a good Batman story more than I do," he said.